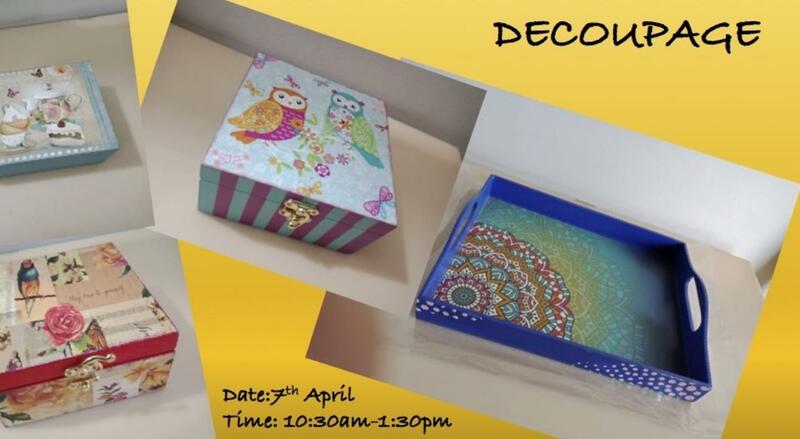 Decoupage is the art of decorating an object by gluing colored paper cutouts onto it in combination with special paint effects, gold leaf and other decorative elements. Decoupage, also spelled Découpage, (French: “cutting out”), the art of cutting and pasting cutouts to simulate painting on a wood, metal, or glass surface. There are many variations in technique but the basic understanding of decoupage generally are cutting out the pictures, arranging them to depict a scene or tell a story, pasting them on a surface. Learn all the tips and techniques of Decoupage using designer tissues.